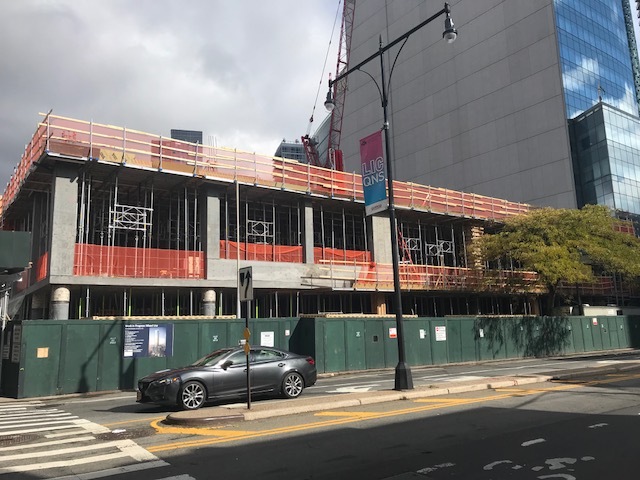 The last time we stopped by 23-15 44th Drive was in September, when rebar was starting to sprout from the ground.1 Construction is now rising over the fence of the future mammoth 78-story, 702-unit mixed-use tower, as seen in the photo below. The project is supposed to deliver in the fourth quarter of 2021. In September, the FAA concluded that the project could rise 752 feet above street level, and the latest renderings appear to be consistent with that height limit. 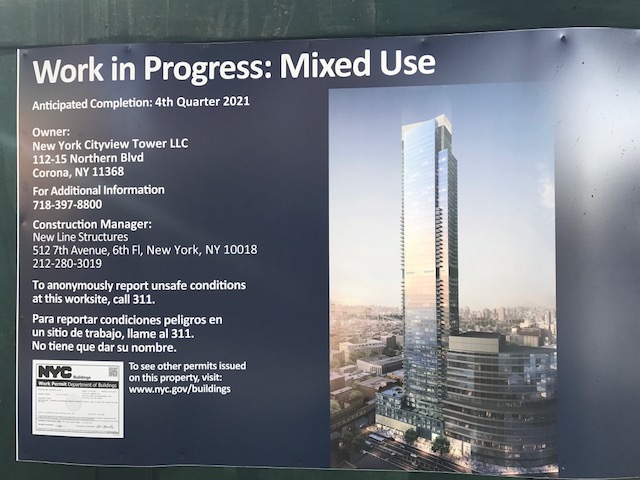 The latest new building applications, which have not yet been amended to reflect the height reduction, describe a 78-story, 702-unit mixed-use tower that would measure 999,664 square feet.